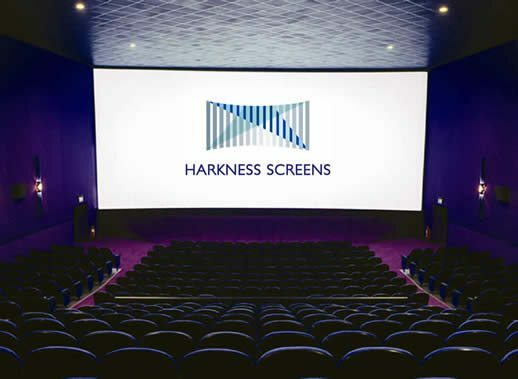 Fredericksburg, Virginia (March 22, 2019) – Harkness Screens, the world’s leading screen technology company and thought-leaders in on-screen brightness, is delighted to confirm that Clarus XC technology will be the screen of choice for 2D and 3D theatrical presentations during CinemaCon 2019, for the sixth successive year. In addition to the showcase Clarus XC screen, Harkness will also provide a number of Perlux HiWhite screens which will be on display in the Octavius ballroom. Perlux HiWhite screens are regarded as the whitest gain screens available with ultra-wide viewing angles, superior uniformity, color and contrast and all Perlux HiWhite screens are natively laser-ready.